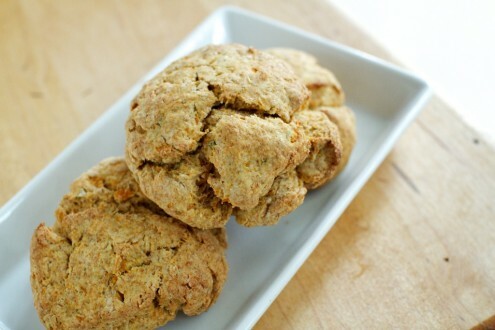 Sweet Potato Biscuits | Naturally. As fall drags in (I say drags because the temperature is 90 today when it should be in the 60s-70s) I move into eating a lot of squash and sweet potatoes. You may have noticed squash popping up everywhere, but not so many sweet potato recipes. Well, today I am here to remedy that. There are some recipes I don’t mess with. This is one of them. When I did a google search for sweet potato biscuits and saw that Martha had a recipe, I knew which one I was going to try. 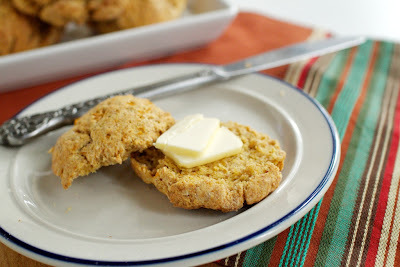 They turned out fluffy, delicious, and sweet potato-ey, perfect to accompany a delicious fall meal. I mean, why have regular biscuits when you can eat sweet potato ones? For the recipe, click here. I added 2 tablespoons of maple syrup and 1 tablespoon of fresh sage to the sweet potato puree- so good!